There are so many dogs, cats, and other animals without homes that have been rescued from the streets and want to find loving families. They are in need of shelter, food, and someone responsible who can take care of them and give them the affection they deserve. This coming weekend, the Oklahoma City Animal Shelter will be hosting a Mega Adoption Event that gives people an opportunity to meet these animals and find the perfect match for their home. The animals at the event will ready for adoption, and people can take their new furry family members home that day. The Oklahoma City Animal Shelter is partnering with other adoption groups in the area to create a particularly huge event to give more animals the opportunity to be adopted. Animals available for adoption are already vaccinated, spayed or neutered, and treated for worms. 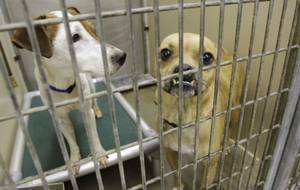 Fees for adopting dogs and cats are $60. The Mega Adoption Event is this Saturday and Sunday, from 9am to 7pm. The event will be held in the Hobbies, Arts and Crafts Building at State Fair Park. Wrought iron furniture is an elegant style of furniture, especially when it comes to outdoor and patio furniture. Durability and weather resistance are two of the most desirable qualities of wrought iron. It is almost indestructible and is the hardest wearing, most weather resistant garden furniture you can purchase. It is tough and sturdy, so you don’t have to worry about it bowing or breaking, and powder coated wrought iron is chip and scratch resistant, so it will not rust or corrode overtime. 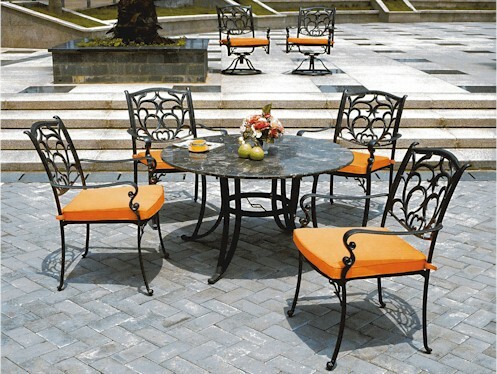 Wrought iron surpasses every other material for outdoor furniture. Wooden patio which will eventually deteriorate after being exposed to the weather for a few seasons. Metal can begin to corrode. Iron, however, will last forever, no matter what climate or conditions you live in. Certain types of maintenance can improve the life and usability of wrought iron furniture. Make sure to regularly dust off your wrought iron furniture, so dirt and debris don’t collect. For larger pieces, a vacuum cleaner can be handy. Wrought iron also needs to be kept free of rust. If you notice rust starting to develop in certain areas, it can be treated with plain white vinegar or rubbing oil. This method is effective for removing small areas of rust quickly and effectively. The furniture should be left soaking in the oil or vinegar for a while before wiping it clean, in order for the liquid to permeate the material. Rusty areas can also be treated with lemon juice. If you find the rust on the furniture is too hard to remove, then sand paper can be used to scrape it off. Calling all coffee lovers in Oklahoma City! The Caffeine Crawl is coming to town, and there will be more coffee and tea shops to explore this year than ever! Caffeine Crawl OKC is an annual event that allows participants to try different coffees and teas all around Oklahoma City, Edmond, and Norman. The event takes place at local shops and creates a great opportunity for people to discover new coffee shops and visit their old favorites.. There will be six routes available during the coffee crawl. Routes 1, 2, 3, and 4 last from 8:30am to 12:30pm. Routes 5 and 6 last from 11:00am to 3:00pm. There are 25 spots available for each route, and participants must pre-register in order to get a ticket. During the event, participants are in charge of their own transportation. There will be an after party at Coffee Singers after the Caffeine Crawl, as well as a Latte Art Throwdown starting at 5:00pm. If you’re getting a little bit bored with your bedroom and you’re thinking of jazzing things up, contemporary bedroom furniture could be just what you need. Contemporary furniture is a fundamental component of the modern and contemporary design movement which started out at the beginning of the 20th century and continues to inspire designers to this day. Contemporary furniture is all about simplicity and fashion. Contemporary furniture is usually meant to convey a bold look, and black, white, red, and other bold colors are generally involved. It is usually crafted out of metal and wood, and its main function is to make a room look big, uncluttered, and clean. When creating a contemporary bedroom, it’s all about choosing the right pieces to serve the functions you need, yet also create the perfect decorative touch. If you have a massive master bedroom, this is not a problem. However, if you have a smaller amount of space in your bedroom, choose your pieces carefully, so you are able to maintain the clean, uncluttered look of modern designs. The general rule of thumb is to start with the largest furniture items, which are generally the more functional pieces like the bed and chest of drawers, and eventually move to the smaller ones as space allows. 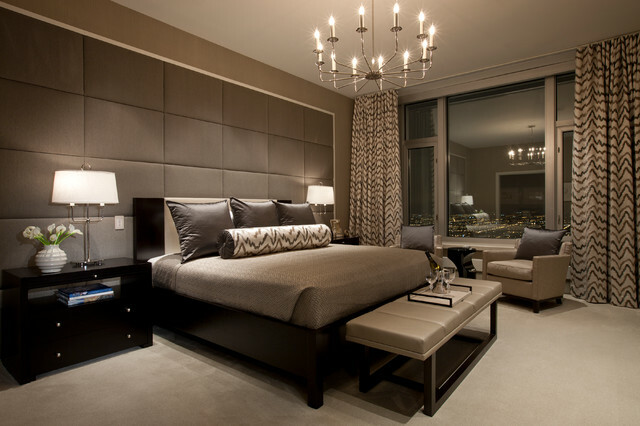 In the bedroom, the bed is the central piece of furniture, so a lot of care should be taken to choose the right piece. Keep your walls neutral to make a fresh statement and complete the look with some coordinating end tables and a dresser or armoire. It may be Friday the 13th, but it’s going to be a LUCKY weekend! Downtown Oklahoma City and Bricktown are getting a head start on St. Patrick’s Day, which is next Tuesday, by hosting a huge celebration this weekend. The St. Patrick’s Day celebration will start with a grand parade at 11:00am, starting at the intersection of Reno & Hudson Avenue. 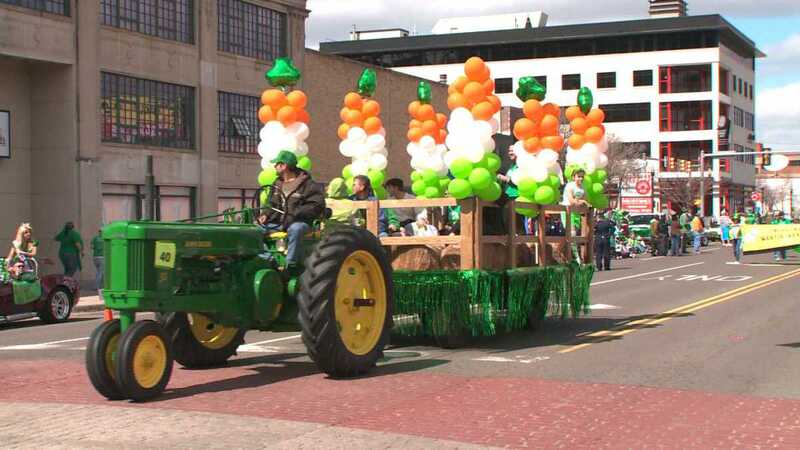 Thousands of people are expected to come out to watch and participate in the parade. There will be nearly 60, marching bands, and more. After the parade, the party will continue until midnight Saturday night! There will be food and drinks available, plus a live music by Attica State, Timothy O’Brien and the Celtic Cheer, Empire Grey, Dino and Friends, and Nicnos. Come and join the St. Patrick’s Day celebration this Saturday, March 14, in Bricktown. The event is organized by Oklahoma City Bricktown and Prodigal Sports and is open to the public. Outdoor path lighting is a beautiful way to light the pathways around your home and allow your landscaping and trees to be seen even during the nighttime hours. It enhances the outside appearance of your home and also serves as a security measure by making your yard more visible from both inside your home and from the street. The easiest and most popular to light your paths is with mushroom or tiered lights. These lights can be easily installed and placed exactly where you want them. Mushroom lights get their name from their shape, as they resemble a mushroom with a cap on it. The light reflects from underneath the cap back down to the ground, creating a beautiful indirect lighting effect. They work great around driveways or along any path around your property. 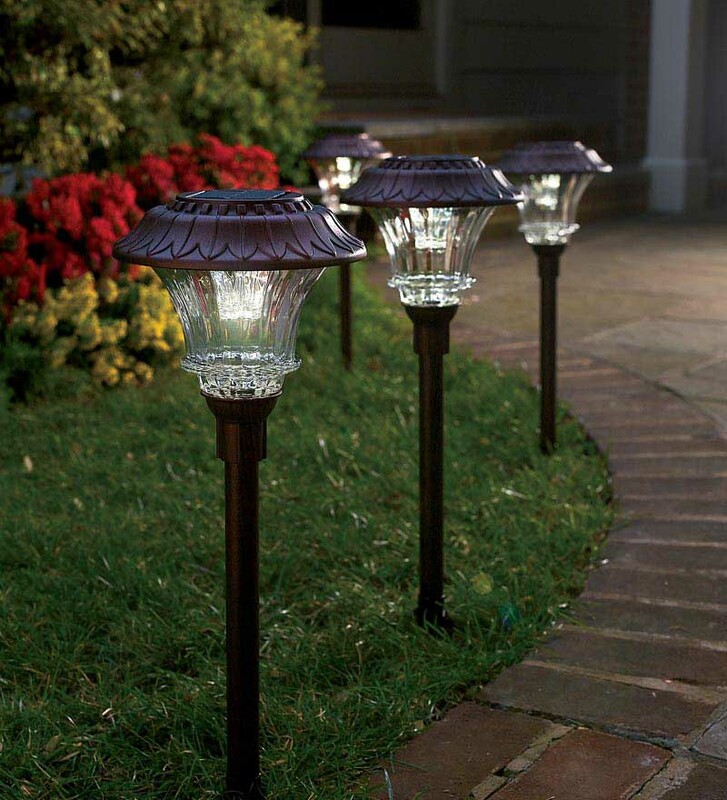 If you are conscious of energy consumption and energy costs, solar outdoor path lighting is a great option. These types of lights are usually mounted on narrow poles that easily stick into most terrain types. They don’t require any wiring or electricity, but rather receive their charge from direct sunlight. When the sun begins to go down, they automatically light up, creating a beautiful, effortless glow. Mushroom lights are usually solar powered because the cap of the mushroom provides adequate space to place a solar panel. If you’re into using the latest in technology, LED light bulbs provide very energy-efficient lighting as well. LEDs are quickly becoming the path lighting fixture of choice due to their efficient way of consuming energy. LEDs consume 60 percent less energy than regular lights, so you can receive quite a bit of cost savings in the long run. Preparing for natural disasters helps reduce loss and damage to your property and personal well-being when something strikes. Unforeseen natural disasters can happen at any time, and being unprepared can be costly. 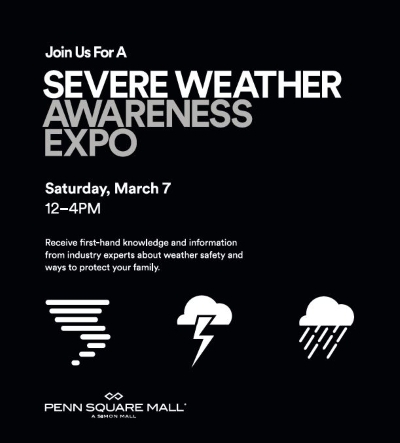 This coming Saturday, the 2nd annual Penn Square Mall Severe Weather Awareness Expo will be taking place, offering an informative afternoon on disaster preparedness. The expo will feature the Allstate Foundation and Points of Light, as they provide insightful information on how to prepare for disasters and why it is so important. The Allstate Foundation and Points of Light are on a 14-city education campaign, and this weekend gives Oklahoma City and surrounding area residents the opportunity to benefit from their knowledge. The Allstate Foundation believes that preparing is crucial for survival, and putting together a plan and a hazard kit prior to disaster can make a huge difference when it comes to your personal safety during disastrous weather. There will be several hands-on activities to help the people better understand the importance of disaster preparedness. The Allstate Foundation will also have an Allstate Catastrophe Response Vehicle on site to illustrate firsthand how to be prepared and alert during an emergency situation. Penn Square Mall is located at 1901 Northwest Expressway in Oklahoma City. The event is free and will take place from 12:00pm-4:00pm on Saturday.